Nicki is an award-winning marketing and PR leader and producer with a 30-year history of promoting emerging enterprises to billion-dollar businesses. She’s spent her career raising the visibility and authority of organizations and individuals to their clients and communities. As ERC’s Director, Marketing, Nicki is responsible for the strategic, content, and design direction of our brand’s digital and traditional communication products and publications. She oversees a practice of four managers who provide a full suite of marketing, technology, and research services. Prior to joining ERC’s leadership team, Nicki operated her own marketing and PR practice for 15 years. Before becoming a solopreneur, she spent 15 years in corporate communications for HR service companies, as Vice President of Marketing at Wonderlic and Vice President of Communications at The Reserves Network. Nicki has published more than 250 articles and was a columnist for cleveland.com, Smart Business magazine, COSE Update magazine and Temp Digest. She was also the career counsel reporter for Cleveland’s CBS-19 News Business Week. As part of her philanthropy, Nicki has coached more than 50 job seekers on their personal marketing strategies and has presented to local and national organizations on various marketing, PR, and career subjects. She holds a Bachelor of Journalism degree from the University of Missouri’s Columbia School of Journalism, with an emphasis in advertising and public relations. 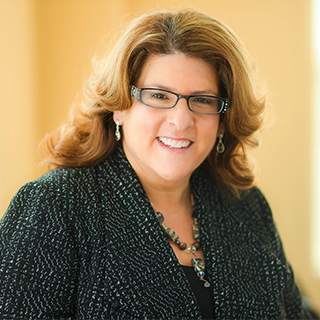 Nicki received her Employment Law Accreditation from the American Staffing Association. She also has experience with holistic behavioral psychology and is a firm believer in heart-centered leadership.